Our Ride Operations department offers endless possibilities and is looking for friendly and attentive team members who are able to engage with our guests. You’ll be responsible for greeting, ticket taking, operating the attraction, ensuring guests ride in a safe manner all while having fun! Whether it’s big looping roller coasters or smaller kiddie rides, we have it covered! We specialize in fun and so can you as you interact with guests and have a good time. Safety is our number one priority as you operate the controls of the rides to the highest standards in the industry. In addition, ride operators will assure that the ride, the area around the ride and the park remains clean and attractive throughout the day. Ride operators will also assist guests as they enter and exit the ride area, watch the ride in motion and communicate safety instructions. As part of the Ghost Ship/Pirates acting team, your role will be to scare our guests using a variety of techniques taught by our scare masters, in several different scenes and settings. You will be directed by a team of professional actors, and will be expected to perform as part of a cast of characters that include Pirates and Zombies! We use Hollywood-style make-up and costumes, as well as professional props and animatronics to enhance the overall guest experience. All training and certification will be provided on site, so come take your place among the doomed denizens of the Ghost Ship and Pirates attractions! Are you looking to use your EMT skills in a unique environment? Morey’s Piers is seeking EMTs to join our Pier Operations Team. 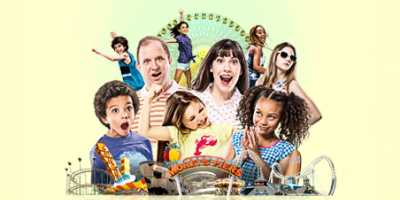 Responsibilities include, but are not limited to, administering and documenting First Aid provided to Guests and Associates of Morey’s Piers. EMTs will also be required to assist in pier operations as needed.